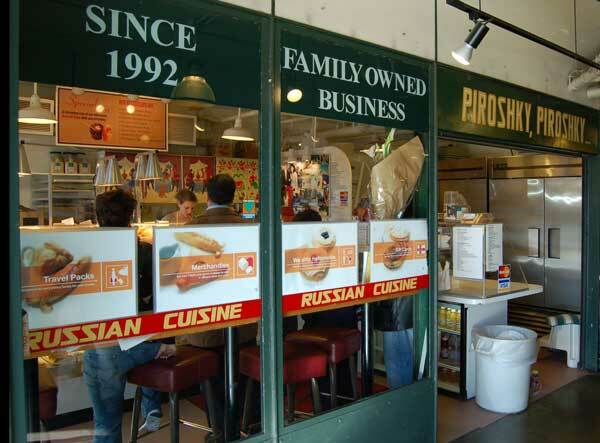 Today we stumbled upon this wonderful Russian pastry shop at Pikes Place Market. They serve these baked pastries called piroshky that are filled with varies items - like cheese, potato, mushroom, onion, various meats (bleck! ), fish, etc. They also have more desert style ones with fruits and a cream cheese icing. Yum! If you are ever in the Seattle area, it's definitely worth a visit to this shop.